Protect the welfare of vulnerable or lone workers and other road users, while ensuring vehicles or consignments are being driven safely and correctly. 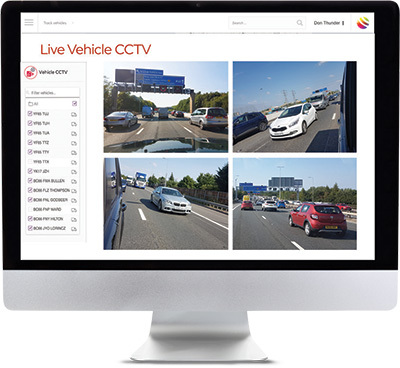 Fleet operators can remotely set alerts and view live or historical camera recordings, direct from any of their connected vehicles, using our highly configurable Datalive vehicle CCTV control dashboard on laptops, tablets and desktops. Multiple Analogue High Definition (AHD) cameras continuously record vehicle activity and store up to 2 terabytes of driving footage, using our DVR system (Digital Video Recorder). View connected CCTV streams via 3/4G embedded modem. Users can configure alarm notification types and receive real-time alerts whenever a potential security breach has occurred. Mapping software with integrated video for tracking vehicles’ locations, speeds and direction of travel are fully supported in Datalive vehicle CCTV. Ensure complete operational efficiency, a vehicles’ camera footage is automatically uploaded to our 2 Terabyte DVR (Digital Video Recorder). Authorised operators are able to remotely access and download live or historical footage using both 3G and 4G. Datalive Accident Recording solutions protect your fleet and employees from dangerous drivers or ‘crash for cash’ schemes, and are suitable for all mobile automotive applications. Datalive Accident Recording fully integrates with our telematics system. Each time an incident is detected or recorded the video and audio is securely stored. They are designed to be mounted on the front windscreen glass of the vehicle and record video via the forward facing and optional interior facing cameras together with audio. Managing CCTV over circa 300 vehicles can be tricky. 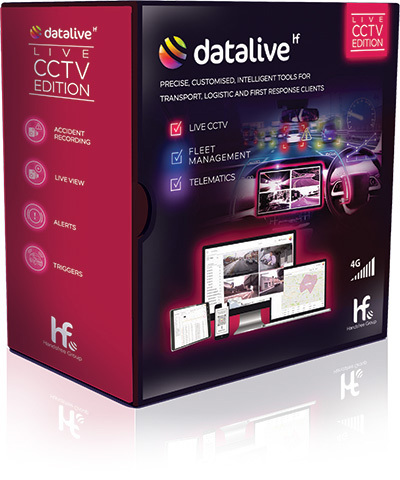 Datalive helped us get control of our footage, proactively monitor, and assist drivers and our insurance team"
Monitoring all your vehicle CCTV systems can be challenging and time consuming, especially in larger fleets with multiple cameras on each vehicle. Configure and set up customised alerts and triggers, that analyse your vehicle digital video feeds precisely, informing you when events have been successfully completed, or if suspicious activity has occurred. The customisable Datalive video analytics dashboard is a highly intelligent tool that allows you to have complete control over the activity and reporting of your fleet day to day.